Day two of the weekend started early with my girlfriend and I returning to GWs flagship building to get another game in. We skipped breakfast at the hotel so that we could eat at Bugman's! I have to say the GW breakfast was excellent and absolutely massive...I don't think I've ever seen a fry up so big... To be fair by the end of it I wanted to go back to bed just to sleep off the feast!! Nonetheless I overcame the urge to sleep and we went next door to the gaming hall and quickly found our allocated games table. After yesterday's massive battlefield today was a bit of a down sizing to a more conservative 6x4 table. 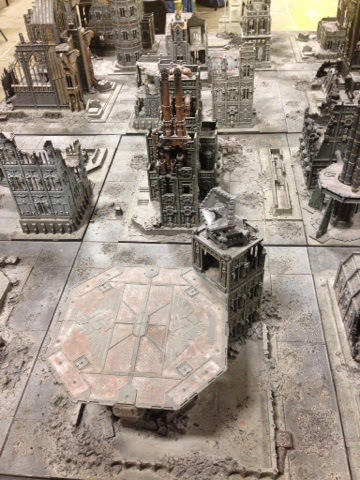 The table we were allocated was actually bedecked with Warhammer scenery, but instead of scouting around for 40k terrain I found I actually quite liked the medieval atmosphere and so decided to use it to represent a feudal world on the outskirts of Imperial space. 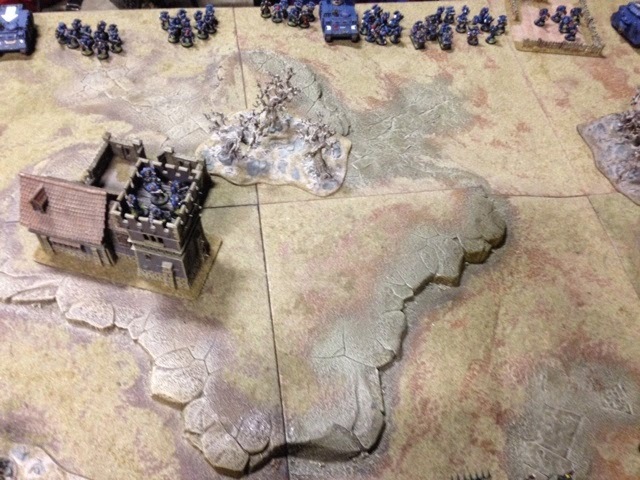 My awesome girlfriend took me to Warhammer World for my birthday so that I could play against her on the fabulous scenery located there! It was the best present she could have given me and I thoroughly enjoyed myself in the bespoke gaming hall. They were also accompanied by a lone metal flamer marine. 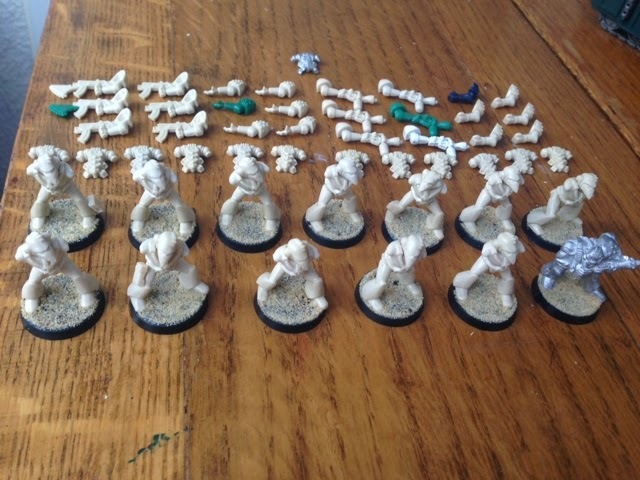 As I've said previously I'm gearing this army for use with the recent Forge World Horus Heresy Rules and as such I am adjusting my squad layouts for this format. In a Space Marine Legion Army one difference is that Tactical Squads can only have bolters (no special or heavy weapons) but the pay off for this is that you can also take Tactical Support Squads where every trooper has a special weapon. In light of this I'm going to be doing a full squad of flamers.... Burn baby burn... Even nastier when you consider Salamanders add +1 strength to flame weapons.